The role of “change agent” is actually a role of leadership. Leading change is difficult work that involves changes in the norms, routines, working relationships, behavior within and between groups. It is required when a simple technical change either isn’t going to get the job done, or requires the above changes to work at all. Most (if not all!) of the “lean tools”* fall into the later: The process changes are straight forward, but making them work requires altering the habitual patterns of how people work together. Before I dive into what works, I want to spend a little time on what doesn’t work. A team had a challenge – the result they were striving to achieve – of getting a 2-3 week administrative workflow (that sometimes went longer) down to a consistent three days. Their target condition was a pretty good work flow that, by all accounts so far, could avoid a lot of delays (on the order of days and weeks). The changes they proposed would eliminate a number of transfers from one department to another (which always means another queue). However it also calls for eliminating some long-standing work-arounds that involve filling out forms and passing them along by email. But now they have a new ERP system, and the intent has been that this work is done within that system. A functional department manager set off a flurry of pushback through a series of emails that essentially said “This is the future” and exhorting people to get on board with the new process vs. defending the old one. 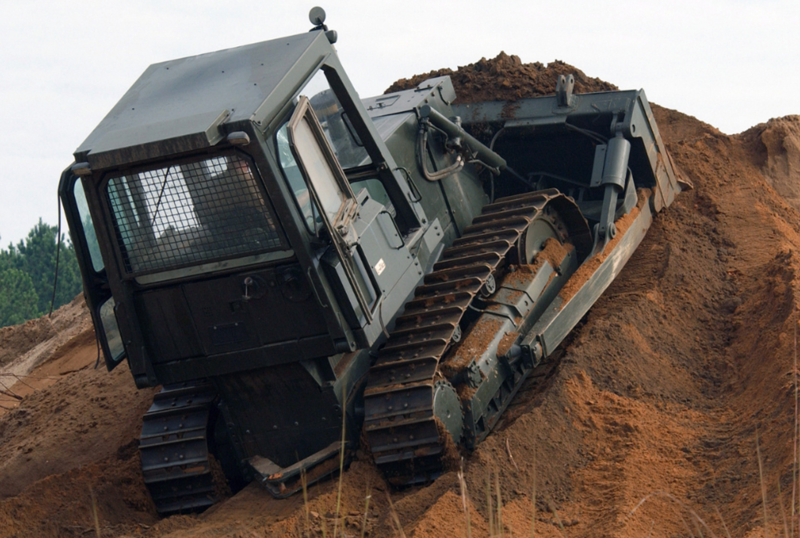 One of the tenants of an effective change agent is “Don’t work uphill” with the corollary of “Don’t create hills in front of you.” I call the opposite of this the bulldozer approach. Unfortunately, like the picture above, just trying to push things through tends to build up a mound of resistance in front of you. A scientific-thinking change agent (a.k.a “a leader”) is going to step back and assess. Why did I get the reaction I did? What triggered it? What are the values of this constituency that are being challenged? Most pushback comes from a perceived threat to something that is regarded as valuable. Perhaps the current workflow solves a very real problem. Perhaps it is otherwise very useful for something I am not aware of. Or maybe there is some emotional stake attached to the status quo. There is likely a combination of all three, or other factors I haven’t mentioned. When proposing a new idea there is an opportunity to become curious about what previously hidden (to us at least) obstacles have just been uncovered, step back and work on the next one. Leadership is a series of experiments. Not everything will work. But everything is an opportunity for learning and adjusting or adapting the next step appropriately. People who expect their position-power to carry them through often tend to assign blame to individuals as “resisting the change.” But if we carry a different assumption – that everyone is doing the best they can to do the best job they can – then we can reframe and possibly reinterpret the reaction we are getting. What other interpretations could we assign to this pushback other than “They don’t want to?” How many of those interpretations can we think of? What is your next step or experiment? Each of those possible interpretations is a testable assumption. Now I can frame my next action, conversation, or intervention to test one or more of those assumptions. This requires me to go into curiosity mode, because I really don’t know if they are true or not. Now I have a different conversation because I am seeking first to understand. I can test assumptions without threatening anyone. Listen. Don’t defend. Paraphrase back until you hear “That’s right” signaling agreement that you heard what they were saying. That doesn’t mean you agree, but that you heard. Until someone feels heard they aren’t going to be soaking in what you are trying to tell them, they are going to be setting up the next defense of their position. There is VERY rarely a need to directly confront someone over a different interpretation of the facts. 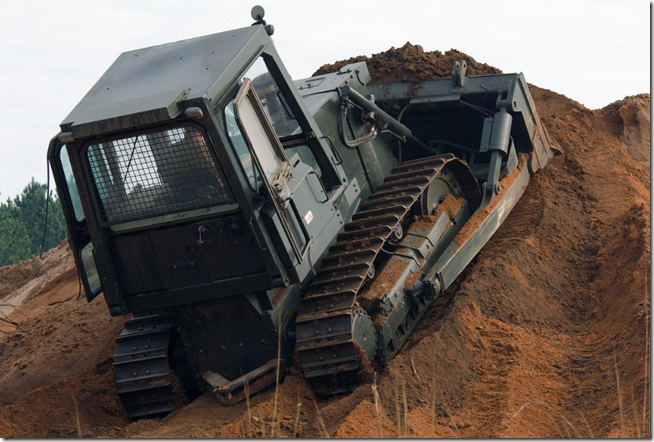 Don’t be a bulldozer – it doesn’t work. *And Six Sigma tools, and Theory of Constraints tools, and TQM Tools, and the tools associated with pretty much any other “program” that falls under the umbrella of continuous improvement. Mrs. TheLeanThinker’s computer was hanging on the logo screen, keyboard unresponsive. I know already that if the CPU were bad it wouldn’t get this far. I also knew that the system hasn’t even tried to boot the OS from the hard drive yet, so that likely isn’t the problem. Working hypothesis: It’s something on the motherboard. Hang test a different, known good, power supply. No change. Pull memory cards and reinstall them one by one. No change. Pull the motherboard battery, unplug, wait a few minutes to possibly reset the BIOS. No change. Try holding down the DEL key on power-up to get into BIOS settings. Nope, system still hangs, though it does read that one keystroke, the keyboard is dead after that. Try Ctrl-Home to reach the BIOS flash process. Nope. Get the numbers off the motherboard, find the same model on Amazon, order it for $37.50 to the door. (Intel hasn’t made this processor type since 2011). New motherboard arrived today. Switch it out, takes about 30 minutes. Boot up the machine, works OK, set the time in the BIOS, and pretty much good to go. Convince Windows 10 that I haven’t made a bootleg copy. I learned to code in 1973 on PDP-8 driving teletypes. Although my programming skills are largely obsolete these days, I am comfortable poking around inside the box of a PC, and I generally know how they work. Thus, the troubleshooting and component replacement I described above was not a learning experience. Yes, I learned what was wrong with this computer. (The “bad motherboard” was a hypothesis I tested by installing a new one.) But I didn’t learn anything about computers in general. Rather than working through experiments into new territory, I was troubleshooting. Something that had worked was not working now. My experiments were an effort to confirm the point of failure. Therefore, as interesting as the diversion was, aside from a little research on some of the more arcane troubleshooting, it was not a learning exercise for me. It was all within my Threshold of Knowledge. In the Improvement Kata, “threshold of knowledge” refers to the boundary between “We know for sure” and “We don’t know.” Strictly speaking, we only say “We know” when there is specific and relevant evidence to back it up. In this case, my challenge (fix the wife’s computer) was well inside the red circle. But this wouldn’t be the case for everyone. Someone else with the same challenge may not see this as a routine troubleshoot-and-repair task. Rather, he has to learn. I had to learn it at some point as well. The difference is that I had already learned it. I had already made mistakes, taken a week to build a PC and get it working many years ago. I learned by experimenting and being surprised when something didn’t work, then digging in and understanding why. On occasion, especially in the early days, I consulted experts who coached me, or at least taught me what to do and why. Sit down at their machine and troubleshoot it. Tell them what step to take, and asking what happened so I can interpret the outcome. That second case is deceptive. The question is “Who is doing the thinking?” If the coach is doing the thinking, then the coach isn’t coaching, and the learner isn’t learning. In this case I would also have to recognize this is going to take longer than it would if I did it myself. That is a trap many leaders fall into. They got where they are because they can arrive at a solution quickly. But the only reason they can do that is because, at some point in the past, they had time to learn. “My computer doesn’t boot.” If my objective is for this person to learn, then I need to go back to the steps of learning. Given that the challenge is likely “My computer operates normally,” what would be my next question to help this person learn how to troubleshoot a problem like this? I need to know what they know. “Do you know where in the boot sequence it is hanging up?” If the answer is “No,” or just a repeat of the symptom, then my next target condition is for them to understand the high-level sequence of steps that happens between “ON” and the login screen. That would be easy to depict in a block diagram. It’s just another process. But my learner might have to do a little research, and I can certainly point him in the right direction. I’m not going to get into the details here, because this post isn’t about troubleshooting cranky computers. The fact that this person didn’t know how to handle it. You can easily translate my computer example into a production quality example. A defect is produced by a process that normally does not produce them. What is different between “Defect” and “Defect-Free?” Something is. We just don’t know what. Is it something we need to learn? Something we need to teach? Or something we need to communicate? If my working challenge for my organization is something like “Everyone knows everything they need to do their jobs perfectly.” then I am confronted every day with evidence that this is not as true as I would like. If I look at those interventions as “the boss just doing his job” then I lose the opportunity to teach and to grow the organization. I am showing how much I know, and by doing so just extending the dependency. That might feel good in the short term, but it doesn’t do much for the future. Think about this… in your organization, if the boss were promoted or hired out of the job tomorrow, would you look outside the immediate organization for a replacement? If so, you are not developing your people. When I see senior leaders being hired from outside, all I can do is wonder why they have so little faith in the people they already have. *I remember when Gateway built their own machines, which I guess shows how long I’ve been playing with PCs. Then again, I remember when the premium brand was Northgate. Of course, I also remember programming on punch cards. Question… Which system is more efficient, a fixed rigid Takt based production line or a flexible One Piece Flow? In terms of designing a manual based production line to meet a theoretical forecasted ‘takt time’, (10 fixed workstations needs 10 operators), how do you fluctuate in a seasonal business (+/-25%/month) to ensure you don’t end up over stocking your internal customer? Would One Piece Flow be more efficient on the whole value chain in this instance due to its flexibility? That was a few weeks ago. Through its evolution, this post has had four titles, and I don’t think there is a single sentence of the original draft that survived the rewrites. I started this post with a confident analysis of the problem, and the likely solution. Then I realized something. I don’t know. My brain, just like every other brain on the planet (human and others) is an incredibly efficient pattern matching machine. I got a little bit of information, and immediately filled in a picture of Darren’s factory and proceeded to work out a course of actions to take, as well as alternatives based on other sets of assumptions. This graphic is copied from Mike Rother’s presentation material. It is awesome. It is likely that at this point you know that it doesn’t say “JUMPING TO CONCLUSIONS” under the little blue square, and of course you are right. But in spite of the fact that you know the truth, it is likely you still read “JUMPING TO CONCLUSIONS” when you look at the first graphic. I know I do, and I present this all of the time. Our brains are all wired to do this, it is basic survival. It happens very fast. Think about a time when you have been startled by something you thought you saw, that a few seconds later you realized it was nothing. That pattern recognition triggered the startle. It was seconds later that your logical brain took over and analyzed what was really going on. This is good. We don’t have time to figure out if that movement in the grass was really a leopard or not. We’ll sort that out after we get away. This is the trap that we “lean experts” (whatever that means) fall into all of the time. We take limited information, extrapolate it into a false full understanding, and deliver a diagnosis and treatment. What’s even worse is we often don’t hang around to see if the solution worked exactly the way we expected, or if anomalies came up. In other words, everything comes down to takt, flow and pull, right? Kinda, but kinda not. All of the above notwithstanding, it really helps to understand how the mechanics of “lean” tie together to create the physical part of an organic/technical process. What I mean by “really helps” is this understanding gives you a broad sense of how the mechanics help people learn. Someone who only understands the mechanics as “a set of tools” is committing the gravest sin: Leaving out the people. One piece flow is not inherently efficient. It is easy to have lots of excess capacity, which translates to either overproduction or waiting, and still have one piece flow. This is the people part: One piece flow makes those imbalances very obvious to the people doing the work so you can do something about them, if you choose to. Many people think the goal is one piece flow. The goal is making sure the people doing the work can see if the flow is going smoothly or not; and give them an opportunity to fix the things that make flow less than smooth. A pull system is designed to throw overproduction (or under-production) right into your face by stopping your line rather than allowing excess stuff to just pile up. Again, it is a tool to give the people doing the work immediate visibility of something unexpected rather than the delayed reporting of inventory levels in a computer somewhere. Any given level of capacity has a sweet spot for efficiency. Even “inefficient” systems are most efficient when their capacity (usually defined by a bottleneck somewhere) is at 100% utilization (which rarely happens). If other process steps are capable of running faster (which is the very definition of a bottleneck), they will, they must either be underutilized or build up work-in-process. This is part of the problem Darren is asking about – flooding his downstream operation with excess WIP to keep his line running efficiently. If your system is designed to max out at 100 units / day, and you make less than, that your efficiency is reduced. If the next operation can’t run at 100 units / day and absorb your output, then it is the bottleneck. See above. Labor – paying the people. The capital equipment cost is largely fixed. At any rate of production less than what the equipment is capable of holding, you are using it “less efficiently” than you could. Since machines usually operate at different rates, it is you aren’t going fully utilize anything but the slowest one. It doesn’t make sense to even try. People is more complicated. In the short term, your labor costs are fixed as well. You are paying the people to be there whether they are productive or not. When the people are operating machines, your flexibility depends on how well the automation is designed. The technical application of “lean tools” to build flow cells pushes hard against this constraint. We strive to decouple people from individual machines, so the rate can flex up and down by varying the work cycles rather than just having people wait around or over produce. At the other end of the labor spectrum is pure manual work, like assembly. We are striving for that same flexibility by moving typically separated operations together so people can divide the labor into zones that match the desired rate of production. All of these approaches strive for a system that allows incrementally adjusting the capacity by adding people as needed. However this adds costs as well, often hidden ones. Where do these people come from, and frankly, “what are they doing when they aren’t working for you?” are a couple of questions you need to confront. The people are not parts of the machine. The system is there to help the people, not the other way around. This is people using tools to build something, not tools being run by people. “Our demand is seasonal” is something I hear quite a bit. It is usually stated as though it is a unique condition (to them) that precludes level production. In my nearly 30 years in industry, I haven’t encountered a product (with the possible exception of OEM aircraft production and major suppliers) that didn’t have a seasonal shift of some kind. Depending on the fluctuations and predictability of future demand, using a combination of managing backlog and building up finished goods is a pretty common way to at least partly level things out for planning purposes. That being said, I know of at least one company whose product is (1) custom ordered for every single unit and (2) highly seasonal (in fact, they are in their peak season as I write this). They don’t have as many options. With all of that, we get to Darren’s specific question. There isn’t a fixed answer, there is a problem to solve, a challenge to overcome. Just to ensure understanding of the challenge, I would ask to translate the production capacity targets into takt times. What is the fastest takt time you would need to hit? What is the slowest? In other words, the +/-25% makes me do math, even if I know the baseline, before I really know what you need to be able to do. Let’s get some hard numbers on it so we will all agree when we see it, or don’t. Remember, takt time is simply a normalization of your demand over your production time. It is a technique for short-term smoothing of your demand. It doesn’t mean you are operating that way. We need to learn more, so the next questions have to do with the current condition. While this post is too short to get down to the details, there are some additional questions I would really need to understand here. Known: There are 10 fixed workstations with 10 operators. Assumed to be known: The high and low target takt times (from the challenge). How are the workstations laid out? What are the cycle times of each operation? What is actually happening at each of the workstations? What are they currently capable of producing in relation to the takt times we want to cover in our +/- 25% range? A good way to start would be to get exit cycles from each of the positions, and from the whole line. What is the current cadence of the operation? What are the lowest repeatable cycle times? How consistently is it able to run? What is driving variation? Since we are looking for rate flexibility, I am particularly concerned with understanding points of inflexibility. I would be looking at individual steps, at distance between the workstations, and how easily it is to shift work from one to another. Remember, to be as efficient as possible, each work cycle needs to be as close as possible to the takt time we are striving to achieve this season. Since that varies, we are going to need to create a work space that gives us the smoothest transitions possible. What is the Next Target Condition? Until we have a good grasp of the current condition, we really can’t move beyond that point. While I am sure Darren knows much more, I am at my threshold of knowledge: 10 workstations, 10 operators. That’s all I know. Move in the direction I am trying to go. Give me more information that, today, is hidden by the nature of the work. “We can’t… [whatever the target condition is]… “because ________.” as many times as I can. That is one way to flush out obstacles. Another way is just to tell the skeptics we are going to start operating like this right away, then write down all of the reasons they think it won’t work. Iterate Experiments / PDCA to learn. Once I know which obstacle I am choosing to address first, I need to know more about it. What do I want to learn, or what effect do I want to have on the process? Those things are my expected result. Now… what do I need to do to cause that to happen? That is my next experiment. And we are off to the races. As each learning cycle is completed, your current condition, your current level of understanding, changes. As you learn more, you better understand the obstacles and problems. When you reach a target condition (or realize you are at the deadline and haven’t reached it), then go back to the top, review the challenge, make sure you understand the current condition, and establish a new target. Lather, rinse, repeat. A long time ago, when I first started this blog, I wrote a post called “The Chalk Circle.” I told the story of one of my more insightful learning experiences in the shadow of one of the original true masters, the late Yoshiki Iwata. My “ah ha” moment finally came several years later, and a year after his death. He wasn’t interested in the answers, he was teaching me the questions. We don’t know the answers to a problem like “How do I get maximum efficiency through seasonal demand changes.” The answer for one process might give you something to think about, but copying it to another is unlikely to work well. What would work for Darren’s operation is unlikely to work in Hal’s. Even small differences mean there is more learning required. When confronted with a problem, the first question should never be “What should we do?” Rather, we need to ask “What do we need to learn?” What do we know? What do we not understand? What do we need to learn, then what step should we take to learn it? Taking actions without a learning objective is just trying stuff and hoping it works without understanding why. What works is learning, by applying, the thinking behind sound problem solving, and being relentlessly curious about what is keeping you from moving to the next level. I have come a long way since my time with Mr. Iwata, I continue to learn (lots), sometimes by making mistakes, sometimes with unlikely teachers, at times and in ways I least expect it. Sometimes it isn’t fun in the moment. Sometimes I have to confront something I have hidden from myself. One thing I have learned is that the people who have all of the answers have stopped learning. Darren – if you want to discuss your specific situation, click on “Contact Mark” and drop me an email. In the Improvement Kata sometimes it helps to think about the outcome desired and then the step required to accomplish it. A couple of months ago, I gave a tip I’ve learned for helping a coach vet an obstacle. “What is your next step or experiment?” Here we expect the learner / improver to describe something he is going to do. I’m looking for a coherent statement that includes a subject, verb, object here. Then we ask “What do you expect?” meaning “What do you expect to happen?” or “What do you expect to learn?” from taking that step? Often, though, the learner struggles a bit with being clear about the expected outcome, or just re-states the next step in the past tense. While this is the order we ask the questions, sometimes it helps to think about them in reverse. Have the learner first, think about (and then describe) what she is trying to accomplish with this step. Look at the obstacle being addressed, and what was learned from the last step. The goal here is to get the learner to think about the desired result. Don’t be surprised if that is still stated as something to do, because we are all conditioned to think in terms of action items, not outcomes. “What do you need to learn?” sometimes helps. “I need to learn if ______ will eliminate the problem.” might be a reply. Even a proposed change to the process usually has “to learn if” as an expected outcome, because we generally don’t know for certain what the outcome will be until we try it. Have the learner fill in the “Expected Outcome” block. That should get your learner thinking about the actions that will lead to that outcome. If that makes sense grammatically and logically, it is probably well thought out. Toyota Kata: Is That Really an Obstacle? When the coach asks that question, she is curious about what the learner / improver believes are the unresolved issues, sources of variation, problems, etc. that are preventing the process from operating routinely the way it should (as defined by the target condition). I often see things like “training” or worse, a statement that simply says we aren’t operating the way the target says. Here is a test I have started applying. Following the word “because,” read the obstacle verbatim. Read exactly what it says on the obstacle parking lot. Word for word. If that does not make a grammatically coherent statement that makes sense, then the obstacle probably needs to be more specific. A level of performance that will be achieved. The operational process that will be in place. The details of the #2 and #3 can take a number of forms, but today I want to talk about the achieve-by date. Keep the time horizon fairly short, especially at first. For a typical process that is carried out every day, I usually suggest a two week time horizon. My rationale is this: I don’t want the target condition to seem big or complex. Two weeks is enough time to understand and significantly improve a handful of steps in a complex process. It is a short enough time to keep the improver from trying to fix a complex or global issue all at once. For example, if a process is carried out in multiple departments, two weeks is enough to try experiments in one of them, but not enough to implement a change across the whole organization. Having that time horizon helps establish the principle of small, quick, steps rather than trying to develop some kind of implementation plan. It is important to set an actual date, not just “in two weeks” – in two weeks from when? But here is the most important part: Once the date is set, don’t change it. If the date comes up, and the target condition hasn’t been reached, it is very tempting to say “Just a few more days.” But once a date is slipped, the date means nothing, because it can be slipped again. Instead, missing the date is time to step back, reflect, and go back through the steps of the improvement kata. This is the same thing you should do when you hit your target condition. Confirm understanding of the direction and challenge. Grasp the current condition. This is important. Don’t just assume you know what it is. Take the time to do some observations and confirm everything is working the way you think. Establish the next target condition. This means erasing the old target condition, starting with a clean obstacle sheet, looking at the current condition and establishing a new target condition. I would discourage you from simply re-stating the old one. List the obstacles that you think are now preventing you from reaching the new target. Pick one obstacle (an easy one, not the one you were beating your head on for the last two weeks! ), and design your next experiment. Start your PDCA iteration. Coaches: Don’t let your learner just adjust the date. There is a learning opportunity here, be sure to capitalize on it. They now have active improvement boards running in pre-op, post-op, surgery, radiology, the lab, the emergency department, the cardio-vascular floor, medical-surgery floor, ICU, cardiac rehab, billing, admissions, case management, and supplies. I think that’s everything going right now. Several of these departments have more than one board, and a few are beginning to get started spontaneously. We are starting to see the culture begin to shift in many of these departments. Staff are getting engaged in improving the work flows, administration team members are more engaged with the staff. Directors and managers are starting to reach across organizational boundaries to deal with obstacles and problems at the departmental interfaces. And the organizations are starting to shift how they talk. When confronted with a list of problems, leaders are starting to ask “OK, which one are we addressing first?” Leaders are asking “What do you expect to happen?” and “What did we learn?” when talking about actions. They are working to engage thinking in their organizations vs. just giving direction. Is it all rainbows and unicorns? Of course not. But the effort is clearly being made, and it shows. My overall process coaching is getting much more nuanced, because they are “getting” the fundamentals. OK, so what did we do? We started out with two weeks of pretty intense “kick-start.” One week was half-days of training and simulation (with a morning and afternoon group), getting a feel for the rhythm of the improvement kata, and a taste of the coaching kata, and culminating with the first round of improvement boards getting set up with at least a direction, if not a clear challenge. We deliberately did not use industrial examples. And now that I’ve done it a few times, I can incorporate more health care language and examples into the sessions, which just makes it easier. Week two was pairs of learners/coaches being coached through grasping the current condition, establishing a target condition, and the first couple of PDCA cycles / experiments. But what made it work is they kept at it. The next month, we did it again. We coached the established boards to tighten up their game, while establishing a series of new ones. Because they had kept at it, the first round of boards now had a routine for their improvement cycles and coaching. And once there is a pattern, then we can work on improving it. Just get them going, then leave them alone for a while to keep at it. That lets the team establish a baseline routine for how they are practicing. Then I can come back periodically and propose adjustments on one or two items that let them step it up to the next level. I am finding this much more effective than demanding they get it perfectly from day one. There is just too much to think about. Establish a target condition, have them practice to that pattern, grasp the current condition, establish a new target… for the team’s practice. Get the improvement engine running, even if roughly, then work on tuning it for performance. To be clear, this is my normal approach (and it is different, I am told, from what a lot of others try to do), but I am getting a lot of validation for it here. A member of the administration (leadership team) who is actively coaching shared this chart with me today. I have “sanitized” it a bit. Suffice it to say these three lines represent the percentage of deliveries of three separate (but related) processes within or before the target turn-around time of 30 minutes. Their challenge is to turn 95% of them around in 30 minutes or less. The vertical red line represents when they started applying the Improvement Kata to this process. Otherwise, the picture speaks for itself. They have recognized that there is no silver bullet here. Rather, there have been dozens (or more) of changes that each save a little bit of time that is adding up. As one of my early Japanese teachers said “To save a minute, you must find sixty ways to save a second.” and that is exactly what they are doing here. They are finding a minute here, a few seconds there, and anchoring them in changes to the way they organize the work flow.